A little surprise for you pre-order program participants - you don't get 1 free gift - but TWO instead. 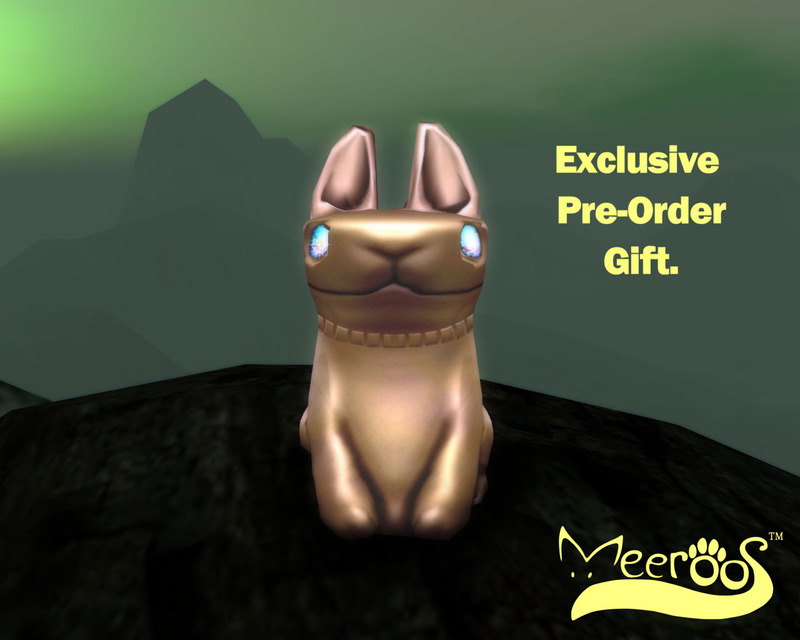 You'll get a gorgeous golden home for your Meeroos to show off your new family. This home acts just like the stump does normally, but is actual an ancient golden Meeroo statue that fits with our lore, aspects of which will be revealed later on! 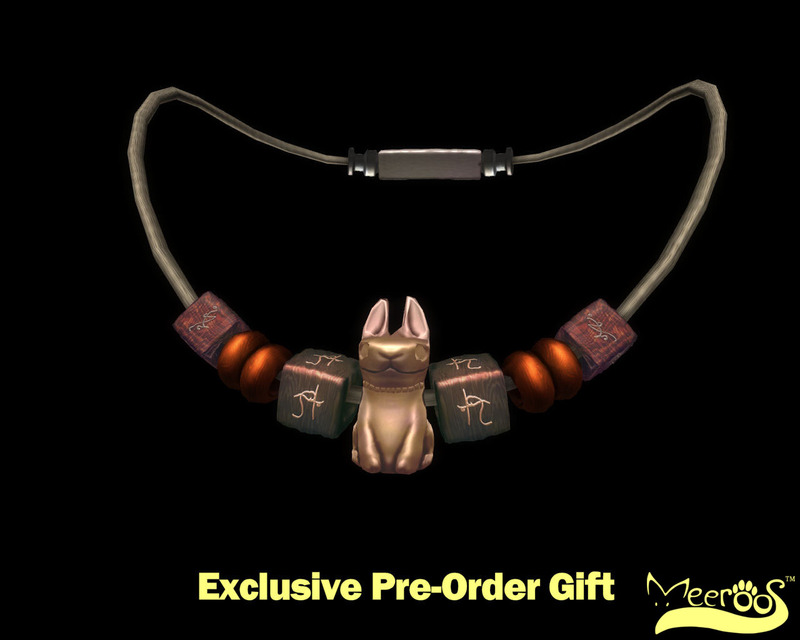 Then we have the Unisex necklace that ACTUALLY spells out "Meeroos." If you pay close attention, you'll notice those little Meeroos have their own runic alphabet that means special things! Those interested may find that beneficial! These will never be available again after the close of Pre-order. We hope you enjoy your pre-order gifts!